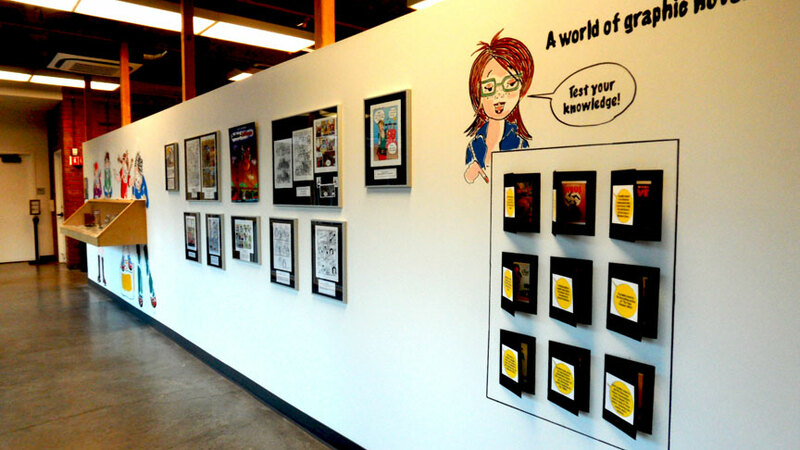 Graphic Novel Display Wall at the Palo Alto Art Center. It’s ready! Graphic Novel class at the Palo Alto Art Center. The wall is ready. The graphic novel display wall is finally ready. I had a great time working on the project. In other posts, I’ll show you close-ups of the different parts of the display wall. But for today, here are two pictures of the entire wall. Graphic Novel display wall at the Palo Alto Art Center. 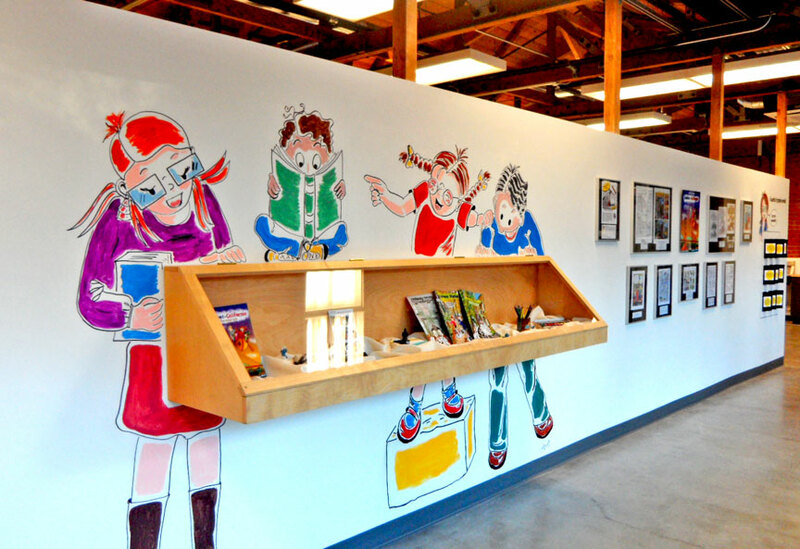 This entry was posted in News and tagged comic books, comics, Daniele BD, Enjoy Catalog, Graphic Memoir Workshops, Graphic Novel Class, Graphic novel exhibit, Palo alto Art Center, Quebec-California by Daniele Archambault. Bookmark the permalink. Your wall looks fantastic. Can’t wait to see it in person. Congratulations. Merci Johane! It’s there for about three months, I think.